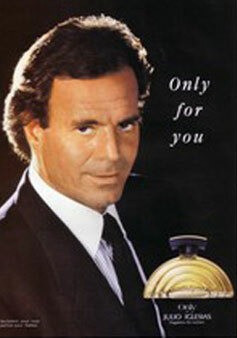 Only by Julio Iglesias is a woody oriental fragrance for women. This debut celebrity perfume includes notes of patchouli, sandalwood, flowers, and spices. Launched in 1989 by Myrurgia (Puig) and available in eau de toilette spray.